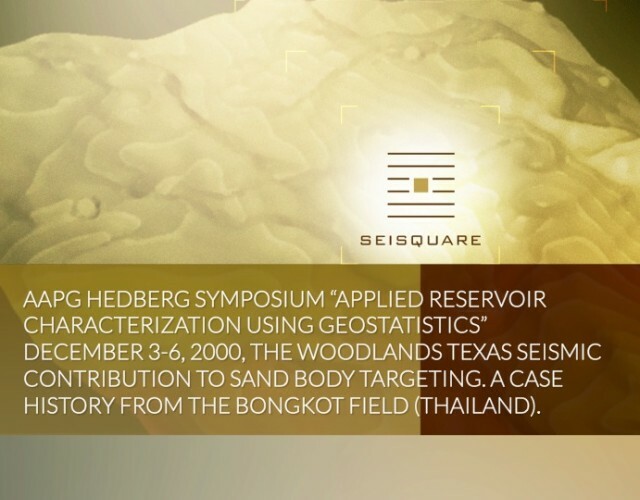 AAPG HEDBERG SYMPOSIUM “APPLIED RESERVOIR CHARACTERIZATION USING GEOSTATISTICS” DECEMBER 3-6, 2000, THE WOODLANDS TEXAS SEISMIC CONTRIBUTION TO SAND BODY TARGETING. A CASE HISTORY FROM THE BONGKOT FIELD (THAILAND). D. Le Meur Compagnie Générale de Géophysique, Massy, France ; C. Magneron Earth Resource Management Services, France. EAGE 2011: GEOSTATISTICAL SEISMIC DATA PROCESSING: EQUIVALENT TO CASSICAL SEISMIC PROCESSING + UNCERTAINTIES! EAGE ROME 2008 : WHY SHOULD WE USE PROBABILITY MODELS FOR SEISMIC DATA PROCESSING? Seisquare applies geostatistical techniques to rapidly characterize uncertainties throughout G&G workflows in Petrel*. 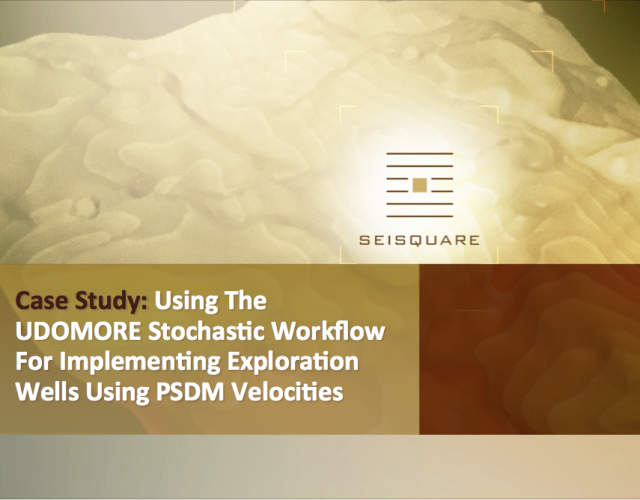 This results in probabilistic estimates of the subsurface that our customers use to improve E&P decisions linked to wellbore placement.